Tip #1: I found that using OxIClean, or generic dollar store stuff works great. I filled the tub full of water, then put whole small container of the stuff in there, let it sit, scrubbed with toilet bowl scrubber a bit. This lifted just about all the grime on the no slip checkered bottom, was about 4 months of remodeling dirt and grime. 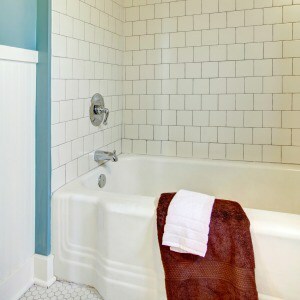 Tip #2: I have found that using a wet cloth with baking soda does the best job on my fiberglass tub and shower doors. Just make sure to rinse well. It takes off the soap scum, does not scratch and is safe to use on the faucets. 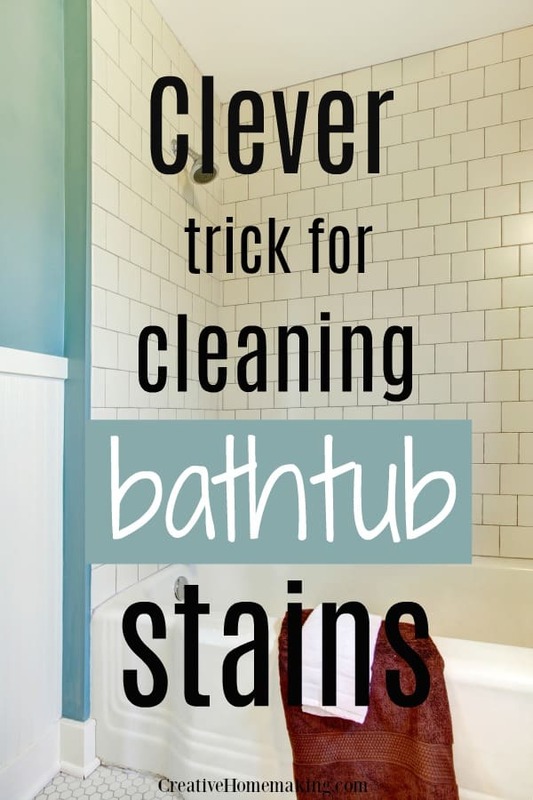 Tip #3: I use the baking soda too (we don’t like to use harsh chemicals where we sit naked after) but lately have been using the Mr. Clean magic eraser once a month or so to get what the baking soda misses and the results are amazing – it’s shiny like new. Having everyone wipe down the shower with their already used towel after helps too and an occasional spritz with vinegar followed by a shine with paper towels helps too.